When you’re clicking a PDF file on one of your SharePoint sites, the file can only be saved and not opened directly. 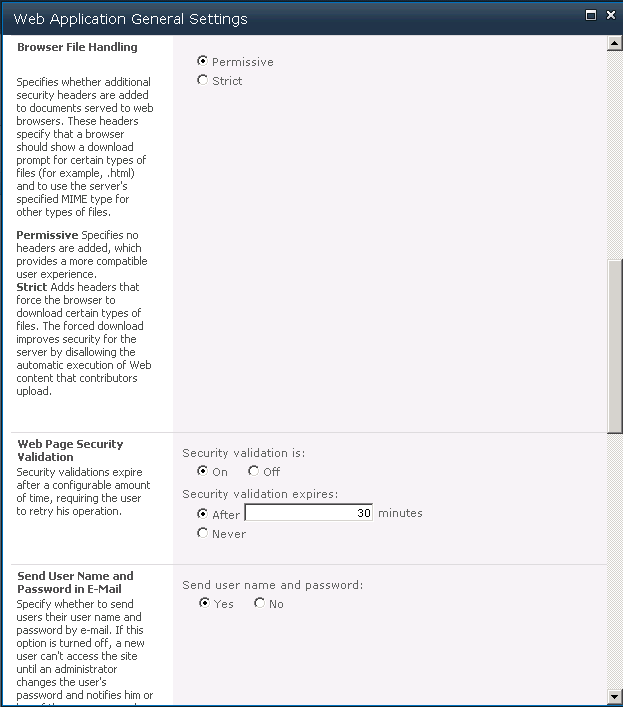 This is by default a SharePoint security setting to prevent scripting or PDF attacks. The setting can be found in the Browser File Handling section which is set to Strict as default. If you do not have a problem with possible security risks, you can change the default behavior by following the steps below. That’s it. PDF files can now be opened directly from your SharePoint site. We had the exact same problem yesterday (what a co-incidence!). This post has helped us big time! I made these changes and they worked wonderfully. However, any new sites I create now do not reflect the changes. Only made opening a PDF work on sites that were existing when I made the change to permissive. Ideas?? ?